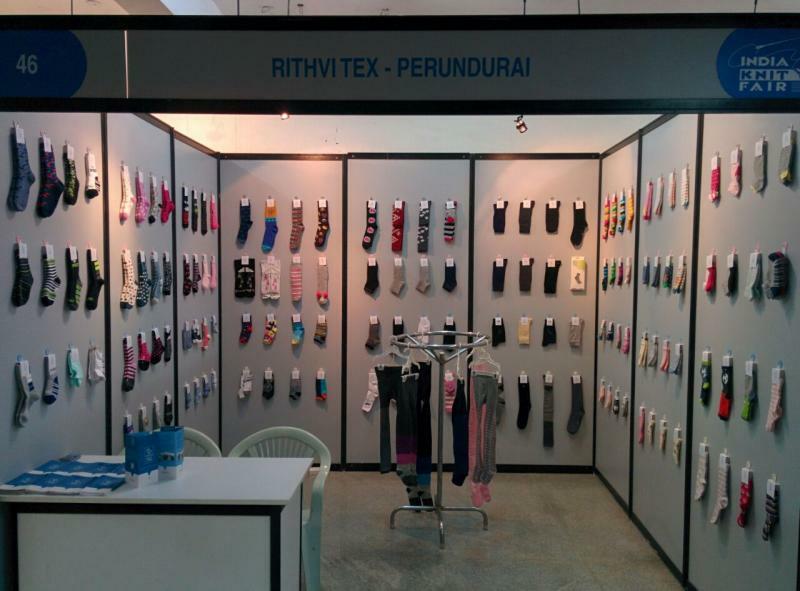 Rithvi Tex is one of the largest manufacturer and exporter of socks in Tamil Nadu, India. Our socks division had its inception in the year 2009. Since then we have expanded our facility to 60 single cylinder socks knitting machines with a production capacity of 25,000 dozen pairs per month﻿. The socks manufactured by us are exported to the top brands across various countries like Sweden,Germany, Israel, Russia, USA etc., Our domestic buyers include Megamart, Lee copper, Basics, Crusoe, V-Star and many more.The majority of our production has its focus on plain formal socks and terry socks.Our speciality products line boasts of exclusive merchandise like bamboo socks, football stockings, arm warmers, wrist bands, fancy socks, 3-D socks, executive formal socks with hand linking and babies socks with anti skid prints.We have pioneered the art of socks manufacturing that employs cutting edge technology like silicon wash, antimicrobial treatment, wicking treatment, hand linking without seam, mercerised cotton, bamboo cotton to suit buyer's requirement.We have an in-house design team that executes creative design to suite the buyer's need and are equipped to manufacture up to 15 colours of yarn in socks.We are certified for SEDEX,GOTS andOCS to produce organic products and also certified for Oeko Tex standard 100. 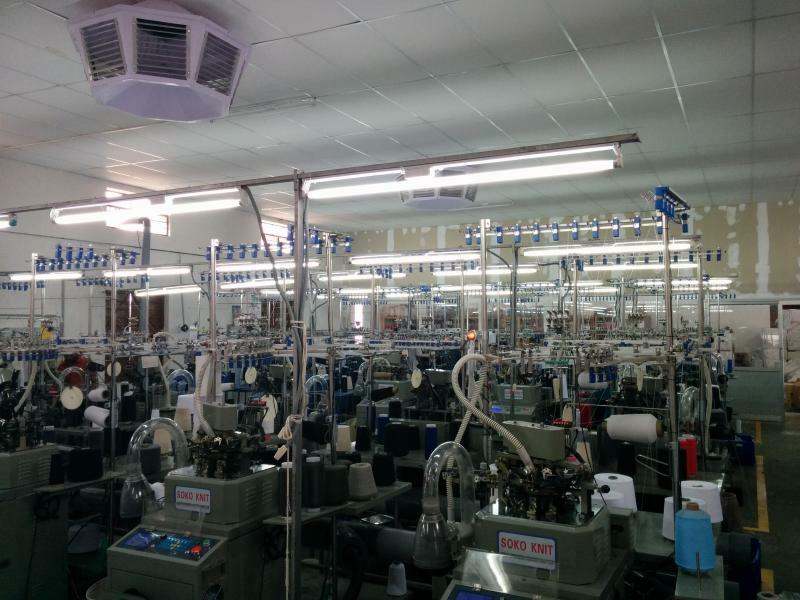 The Management of the Company is in the able hand of Mr.Saravanan who has 18 years of experiance in knitted fabric and socks.The company has an expert team comprising of capable, competentand efficient staff in various fields.Each production is checked and supervised by high class quality controllers. We are certified for Oeko Tex standard 100 from Shirley Technologies Limited. Copyright 2015 Rithvi Tex. All rights reserved.